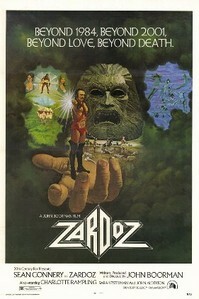 I don't think we'll ever see a period of cinema again that matches the early 1970s through the late 1990s. That is a long period to think about, and film changed quite a lot during those decades; truly, the way films were made and audience expectations make films from those different decades appear almost like different species. However, there was one thing that was true throughout: a director with a vision, if he played the game and made the big bosses enough money, could at some point do whatever they wanted - and, for some reason, studios let them. Howard Hughes is a subject of legend. A multimillionaire, accomplished aviator, strange recluse and the instigator of numerous grandiose failures, he was the inspiration for both the villain in Diamonds Are Forever and had his own Martin Scorsese biography film (The Aviator), in which he was played by Leonardo De Caprio. 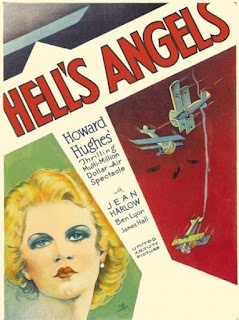 So much of Hughes's own story and personality looms over this film that, even today, it is more talked about than actually seen. It seems that we have reached a sort of singularity where the only movies released at this point are either super hero films or the latest Star Wars sequel or side project. I know that somewhere out there someone is making decent (or indecent) action films that aren't mega-budget cartoons. Cartoons, however, seem to be what we are in for these days. For some reason the recent round of Marvel films leading up to Avengers: Infinity War have seemed more and more like listening to a hyper six-year-old tell us about a movie he saw rather than attempting to be movies themselves. 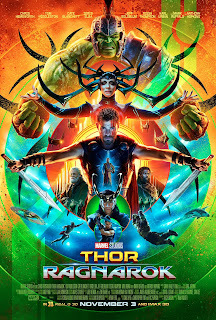 Sadly, although I may be in the minority of truly liking Thor: The Dark World much more than its predecessor, the third visit to Asgard does nothing to improve on the series. Dario Argento is known now primarily as a horror director, thanks to Suspiria and a string of supernatural and slasher features from his peak creative period from the mid-1970s through the late 1980s. Highly influenced by Alfred Hitchcock and his own mentor Mario Bava, Argento himself became an influence on Brian De Palma, George Romero, John Carpenter and a number of classic American suspense and horror directors. Before turning to horror, Argento was one of the most noted directors of giallo films, a genre of Italian crime films that often featured a combination of complex whodunit plots and brutal murder scenes. Though he would return to the genre later in his career, Deep Red (originally titled Profondo rosso) was one of the last he would do for quite a while.